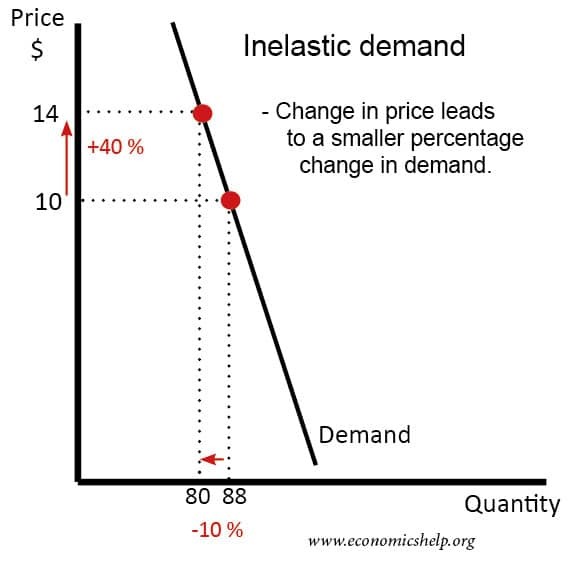 Demand is price inelastic when a change in price causes a smaller percentage change in demand. It occurs where there is a PED of less than one. 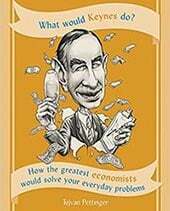 Good which are price inelastic tend to have few substitutes and are considered necessities by users. Goods where firms have monopoly power. For example, Apple computers, iPhone, Microsoft Windows. No substitutes. If you have a car, there is no alternative but to buy petrol to fill up the car. If you rely on the train to get to work, the train firm can increase prices with little fall in demand. Little competition. If a firm has monopoly power then it is able to charge higher prices. For example, prices on motorway service stations tend to be higher, because consumers can’t choose where to buy food, without leaving the motorway. Bought infrequently. If you buy a good infrequently, such as salt, you are less likely to be sensitive to price. A small percentage of income. If you a good like salt is a small percentage of income, you may be less concerned about price. Short-run. In the short-run, demand tends to be more price inelastic. It takes time for consumers to look for alternatives. 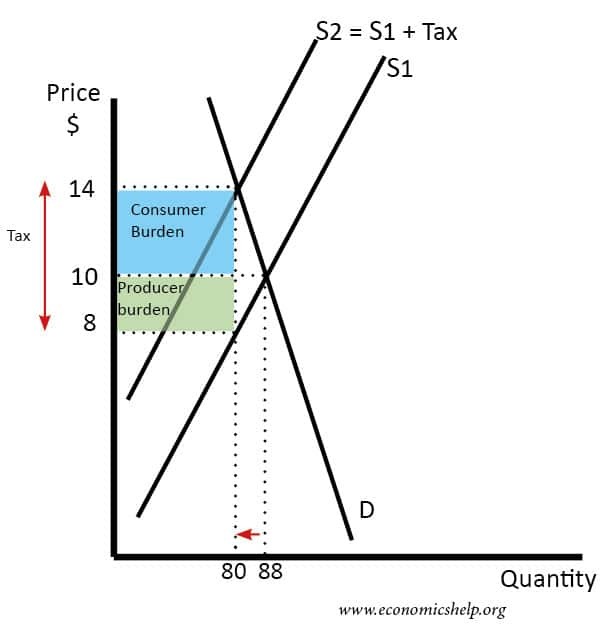 A tax will shift the supply curve to the left, leading to a higher price and a fall in demand. 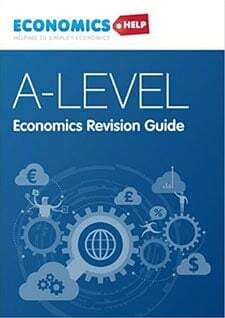 If demand is inelastic, then the tax will have the effect of raising the price significantly and reducing quantity only slightly. This will help to increase tax revenue for the government. 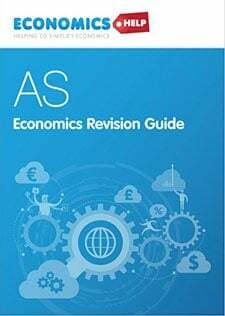 Cigarettes tend to have inelastic demand; when the government increases a tax, firms are usually able to pass the whole increase onto consumers. 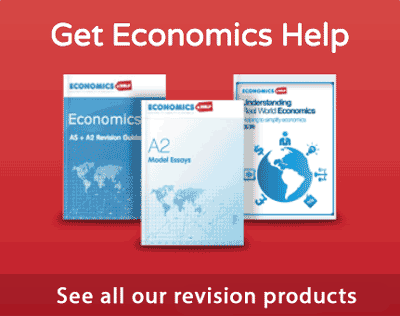 If demand is price elastic – an increase in price causes a bigger % fall in demand. If demand is elastic. It means consumers are more sensitive to changes in prices. Therefore, an increase in tax will cause a big fall in demand, and the price will rise only slightly. Therefore, the government will see a fall in tax revenue. Also, if demand is price elastic, the consumer burden will be smaller than if demand is inelastic. 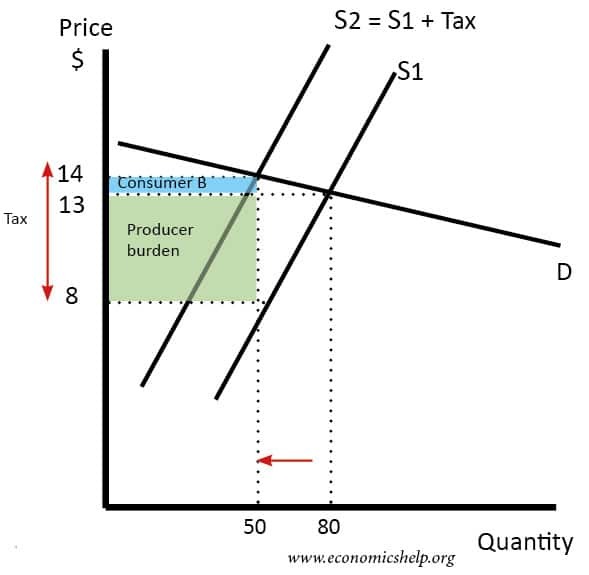 When demand is price elastic, most of the tax rise is borne by the producer burden. What explains the volatility of food? 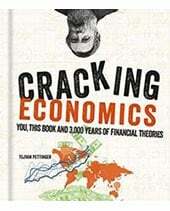 hi this is akbar.i want to know about fully knowledge in elasticity and inelasticity in economics.